Duluth Harbor Cam: Jeffery the Gull - Jackpot! Jeffery the Gull - Jackpot! Monday mornings in Canal Park are fantastic during the summer. If you get there before the garbage man does, the trash cans are full and there is plenty of fast food for breakfast. Jeff...watch that waist of yours eating all that fast food, pretty soon you won't be able to fly south for your winter vacation in the warm sun. 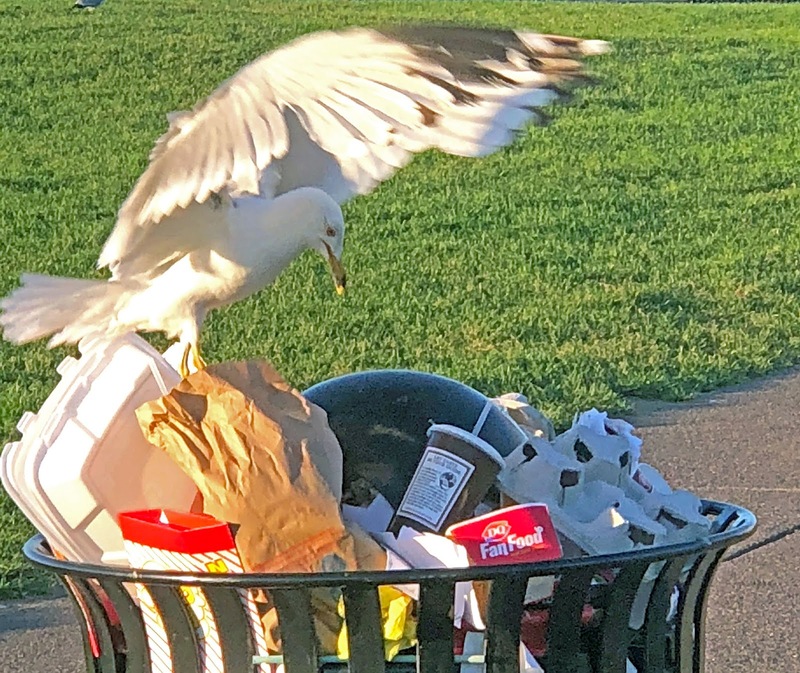 Jeffrey, I sure hope you're putting the food containers back into the trash bins and not just dropping them into the lake, like other birds do. It's not just humans polluting the lakes and oceans. WOW! Life seems to be good to you Jeff! Way to go! Love t his Jeffery, more news, please.